Rapper Snoop Dogg and a Washington State marijuana entrepreneur learned the hard way that cannabis businesses must tread carefully when it comes to trademark protection. 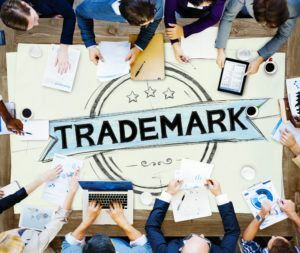 Both recently encountered trademark snafus, underscoring the pitfalls cannabis companies face. Still, MJ entrepreneurs do have options to safeguard their names, logos and other intellectual property. Experts said state-level trade protection is one option, given that federal trademark protection typically is unavailable for plant-touching companies because of marijuana’s status as a Schedule 1 controlled substance. Cannabis entrepreneurs also can turn to “common law” trademark rights, experts said. And it helps to have a distinctive trademark or brand that stands out from the crowd. At the very least, experts advised, MJ business owners should educate themselves about what options are available – and seek them out. Over the summer, the Trademark Trial and Appeals Board of the U.S. Patent and Trademark Office ruled that owners of state-licensed marijuana retailers can’t receive federal trademark protection on marks that are connected to cannabis sales because marijuana is illegal under federal law. The ruling stemmed from a trademark application from a Washington State resident who owns a recreational marijuana store in the state and a related website. The man, Morgan Brown, applied to register “Herbal Access,” but a federal patent examiner denied the bid. Also over the summer, Snoop Dogg got into a legal battle over whether his branded marijuana product line, Leafs by Snoop, infringes on the trademark of the National Hockey League team the Toronto Maple Leafs, again illustrating the potential pitfalls for cannabis businesses. The rapper himself had filed a trademark application in January, 2015, for the Leafs by Snoop trademark on clothing, but dropped that effort in November. He recently filed a separate application for different products – and could encounter more legal issues with the Maple Leafs on that bid. That said, marijuana entrepreneurs do have legal recourse to protect brand names and other intellectual property. Take one of the best-known strains in the world: Charlotte’s Web. The Stanley Brothers’ famous high-CBD strain – which fights seizures – made headlines starting in 2013. That’s when CNN’s Sanjay Gupta picked up the story of Charlotte Figi, a young girl whose intractable epilepsy was practically cured by a tincture produced from a high-CBD medical cannabis strain that Joel Stanley and his brothers bred on their Colorado farm. The brothers named the strain after Charlotte, and they all became famous. “Right after the first Sanjay Gupta piece, there was virtually no CBD in existence out there. Most of the industry couldn’t pronounce ‘cannabidiol,’” said Joel Stanley, who is now CEO of CW Botanicals. CW Botanicals has turned to common law trademark rights to protect their brand. Stanley estimated his company has spent tens of thousands of dollars in legal fees, which includes ongoing monitoring to keep an eye out for Charlotte’s Web impostors. And Stanley estimated the company has issued between 40-50 cease and desist letters to various companies that have tried to illegally imitate Charlotte’s Web, including one company in Britain. The biggest and best option is a state-level trademark, said California attorney Mary Shapiro. The exception to the rule, she said, is California, which is voluntarily following a rule to not issue trademarks to companies that violate the federal Controlled Substances Act, which by default means marijuana-touching businesses. Both Shapiro and Cohn noted that common law trademark rights can come into play in the cannabis industry. Those extend essentially when a company has been using a trademark in practice and commerce, by association with its products, and can claim ownership through use. The best way to establish that common law right, said Stanley of CW Botanicals, is to document every sale and every transaction that includes the brand or name or product that you want to protect, along with dates and relevant information. That way, when the government comes calling, you’ll have information to back up your claim. As the industry progresses and regulations change, experts suggested that companies should look for trademarks and brands that stand apart and are easy to identify, for the sake of defending against any potential competitor. The Maple Leafs are going to have a lot of trademark fights on their hands. Every other Cannabis brand out there has a leaf motif.